REAL PEOPLE. REAL DREAMS. REAL SUCCESS. If you prefer to read the information contained on this page as an ebook, or print it out for making notes for easy reference click the button below. What are you waiting for? Download the pdf version of this page for easy reading! The password is in the email you received. CSP® is the undisputed, award winning real estate staging industry leader. We specialize in helping new ands struggling stagers to build profit centered successful businesses; providing three proven training tracks to meet your professional goals: Actionable knowledge solid from the field, tried and true process that work, as well as tools and resources to support your growing business, AND on-going staging community support, job shadowing opportunities, coaching and mentoring after class to ensure the success you dream of. Whether you are looking to start your staging career, struggling with your business or already own a decorating business and want to add to your suite of services, there has never been a better time to become a professional stager. CSP® is the undisputed, award winning real estate staging training industry leader. Worried about starting a business and it doesn’t work? Worried about not getting started? What if you can’t get business? Where will I get a portfolio? We hear you! Pretty much everyone has some concern or other when starting out. 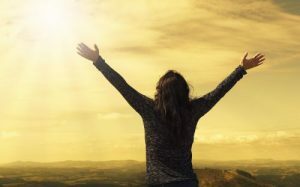 Wouldn’t it just give you peace of mind to know there were not only answers to these questions but a place which also provides nurturing support! 1) Actionable knowledge. Solid from the field, tried and true processes that work. 2) Tools and resources to support a growing business. 3) On-going community support, job shadowing, coaching and mentoring opportunities, to reach the success you dream of. Whether you are looking to start your staging career, struggling with your business or already own a decorating business and want to add staging to your suite of services, there has never been a better time to start, build and benefit from the best training available to ensure you have a solid foundation for your staging business. For the past ten years, professional staging has been considered one of the fastest-growing industries by CNN & Career Builder; the main reason is the millennial demographic want “move in ready” property and real estate professionals and property sellers want to maximize every advantage they can in the sale of property. What that means to you is the current demand will not go away. People will become more aware and as they do, they will require higher standards for stagers. Year after year, our graduates win more awards at the Real Estate Staging Association Convention than any other staging school . The CSP program will teach you how to achieve $100,000 in sales in your first year in business, get at least three jobs from every stage, build a business rather than create a job for yourself – all with minimum investment! The Real Estate Staging Association (RESA), through whom CSP® is accredited, reports that staged homes spend almost 90% less time on the market than non-staged. 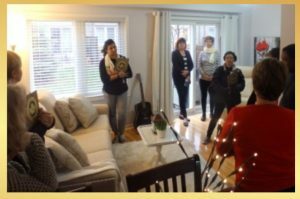 Interior decorators and designers are earning their staging certification to add staging to their portfolio of services to support clients who have heard about and understand the value staging brings to their property sale. Now, real estate agents in any market, in any economy, routinely turn to stagers to help their sellers have a smoother, faster selling experience. You can see that staging is not only a great career choice but it’s actually becoming a necessity in any property sales transaction – and it’s still a new industry born in a slow economy! Just like any other career, the more training and experience you have, the more credibility you have and the more demand there will be for your services. 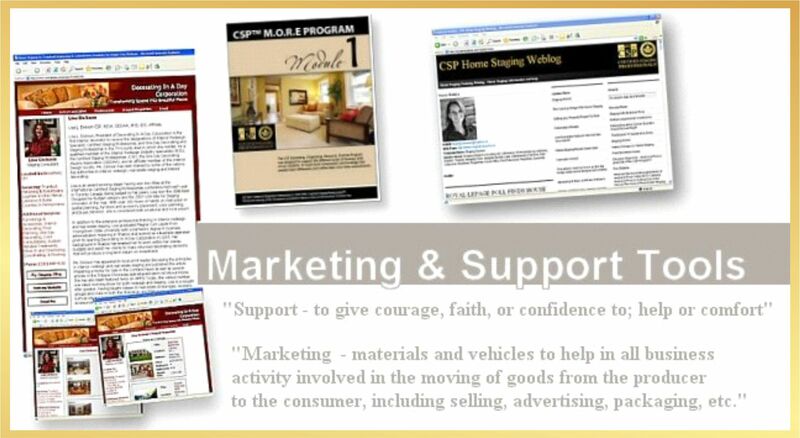 And that’s where CSP® training, support and resources can be your extra marketing edge as a professional stager. As you likely already know, professional staging means to blend the aesthetic of interior decorating with a strategic design approach, often using available client resources effectively (furniture, furnishings and room space), with the result being an attractive environment for potential buyers to see when they tour a property. Your job, as a professional stager, is to make the space functional and neutral so potential buyers can see the features and benefits of living and/or working there comfortably as the new owner. These are all skills you can develop / hone with the right education, training and support. Home staging is in the limelight as a result of popular TV Shows like Flip This House, Designed to Sell and Sell This House. CNN listed Home Staging as the #1 career poised for growth as far back as 2009 and we have not looked back since then. The U.S. Bureau of Labor Statistics classifies staging professionals to fall within interior design; their projections show that job growth will outpace other industries with a 19% increase in demand. And in terms of income, eHow Money reports that for “full-time work with two home-staging projects per week, a home stager can make a six-figure annual income”. CSP® has a proven business model for you to follow to earn up to half a million dollars! When the real estate market shifted gears several years ago, buyers wanted to get top dollar for their property. And that’s when we realized a property transaction is just a bigger car. People get their car detailed before selling it, hence, staging a property before putting the sign on the lawn. Staging has become a part of the property selling process. Before the property goes on the market, staging handles potential problems and maximizes the appeal for potential buyers. It also ensures the buyer gets maximum return on their investment. The real estate industry is exploding right now, more people than ever are starting businesses! You want to maximize your opportunity, but you likely want the best guarantee for success too! The truth is however, many stagers fail in their first year; mainly through lack of education, lack of planning and lack of funds. 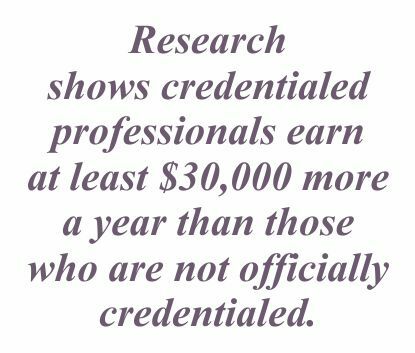 Our research shows people with true professional certification not only build out their business success for more than ten years (we have graduates with 12-15 yrs. experience), they also earn at least 30% more than others in the marketplace . Being a CSP® staging consultant is an opportunity to be in business for yourself – without being by yourself. The CSP® business model is based on personal direct sales and operates as a home-based business – without the need for retail space. You can work from your home, making it easy and cost-effective to get started, expanding into warehouse / office space if and when that makes sense for your business. As far back as 2005, when CSP® launched a unique continuing education model for an industry that had no guidelines, it established precedent for excellence and continually demonstrates leadership within the industry. Since then, CSP® has continued to lead the way with comprehensive resources, negotiating savings for proven business-building tools you can use right away, and an online Resource Centre to support CSP® graduates with real-world expertise and solutions. Before you can do even one of the steps you need to have established your business, written a contract, figured out how to price for profit, know who your client is and know what you are going to say when you get face to face (oh and how do you get face to face?) How do you overcome objections, know where to buy/secure furnishings to help the client, how to get repeat business, manage your time and continue to love what you do. By taking the CSP® staging training, you will learn all of this. You will be starting your business with everything you need to be successful in the marketplace. There are many benefits professional staging brings to the real estate industry. Help residential, vacant and/or commercial properties sell faster than non-staged properties – in any economy! Create enhanced ‘curb appeal’ for pictures on the real estate listing and to attract ‘drive-by’ potential buyers. Give potential buyers a visually appealing property to tour and, eventually, purchase because you’re handling maintenance issues with the owner prior to staging. It makes the property ‘turn-key’, or ‘move-in ready’ right away, which is attractive and memorable to most buyers. Give the seller more offers to choose from because the property is attractive. Even more, this can increase the price of the offers being made in a competitive, fast-moving market. Stage property so that potential buyers can easily see themselves in because they are attractive, versatile, and neutrally furnished (new construction can feel empty and higher-priced properties aren’t an option for potential buyers with a budget). It’s rewarding to know that staging services and expertise have such a significant impact with so many people. And, amazingly, staging offers significant profit margins AS WELL AS the low overhead of a home-based business (if you choose to maximize your investment in training to be in your own successful business). Even more, if you DO choose to be in your own business, CSP® stands behind you by providing not only the comprehensive quality training you need, but affiliation with a network of staging professionals who will be a resource to you as your business grows. As a professional stager, you’ll get to decide how you want to apply your skills by choosing to work with a real estate agent, a seller, builder, flipper, work on a team or build your own professional staging business. Of course, if you already have experience and/or credentials in real estate, remodeling or interior design, (which is great, however you still need to know how to navigate the real estate staging industry) staging is a natural enhancement to offer your clients! As you grow and develop you can also choose to specialize in one of several niche markets like Vacant Staging Specialist™ , Senior Move Management, Certified Color Consultant™, Diversity Specialist or even EcoStaging® for either residential or commercial real estate. Each of these markets has their own requirements and opportunities, all the while earning continuing education credits towards an International Masters™ designation in Real Estate Staging. It really comes down to what you like to do, what you perceive as having the greatest opportunity for you and what skills you choose to focus on in delivering services to your clients. And you give yourself the widest range of opportunities when you have the proper training and support. Continuing Education Credits (CE credits) applied toward your International Masters™ designation. Another benefit of being in your own staging business is that you can set your own fees for your services. In our experience, home stagers charge anywhere from $150 – $700 for the initial consultation plus additional fees for the actual property styling. While that project rate will depend on the size of the house, furniture and furnishings available to use and timeline for project completion, a starting average for a styling project is around $1,000 – $2,500. Altogether, depending on how much you want to work and how you structure your business, you could make $100,000+ in sales in your first year as a professional stager. 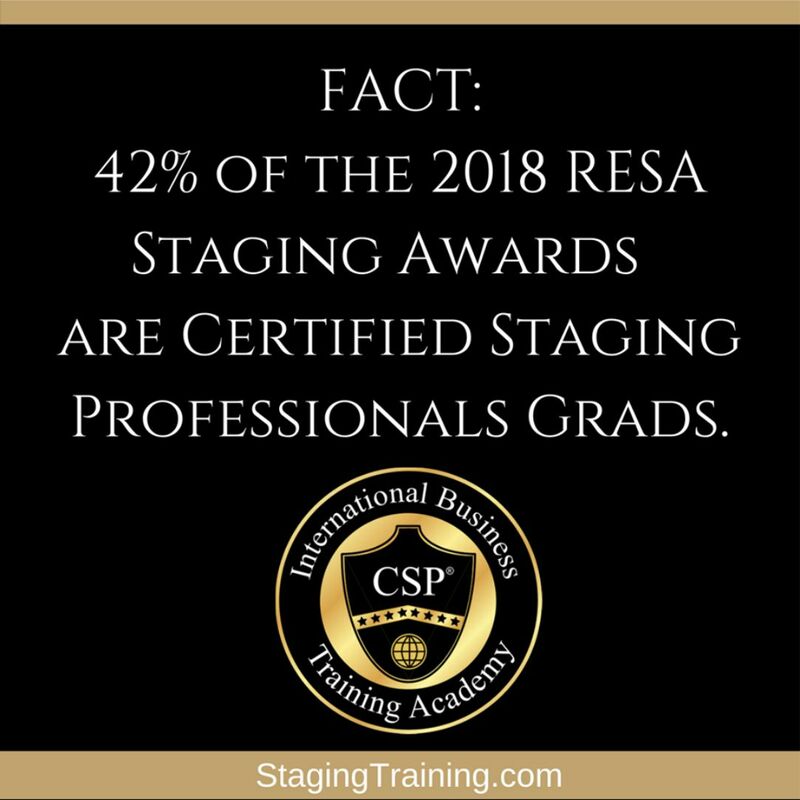 The really good news is that, as a professional stager with CSP® training, you will be able to demonstrate your proficiency with the credentials of a Certified Staging Professional® designation and membership. This is NOT a certificate of completion (like most places provide who say they certify you). You will complete three exams over the process of the program – one is a practical exam where we measure the quality of work you are capable of doing! True certification requires exams and practical experience, letters after your name and continuing education. We believe in continuous improvement; we have developed a second layer of certification proof of your abilities AFTER class. Once you graduate, start your business and have clients there could be a tendency to fall back into your own ways of decorating vs the proven CSP techniques. To help strengthen your skills and extend your credibility in the marketplace we offer the Residential Staging Expert™ designation. This level of excellence is achieved by submitting three bodies of work for review. Once approved you will receive the logo and certificate (your second achievement) AS WELL as an additional two credits towards your MASTERS of Real Estate Staging. CSP® credentials boost your confidence, provides visible proof of excellence in education, technical competency and demonstrates your professional integrity. If you have not yet seen it, this video has vital foundational information about staging as a career for you. 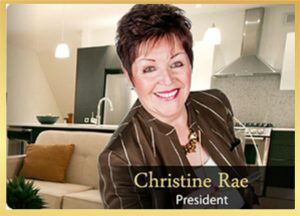 In it, you’ll learn straight from CSP® Founder and President, Christine Rae, what you need to know about becoming a professional stager. Stagers use a variety of skills which you will learn in the CSP® training programs. Sometimes, people may think they aren’t cut out to be a professional stager because they don’t have formal design training. While having natural creativity is definitely an asset, it’s actually not required as there are many, many ways to evaluate and stage a property that you can learn through our education and training. Through a combination of hands-on training and classroom breakout sessions in consulting, preparing bids, pricing, color, and staging both occupied and vacant properties, you learn the nuances of this specialized industry. You will be certified for your knowledge and technical skills achieved by completing the training. The certification process is completed in the evenings via two exams during the program and through participation in class breakouts as well as day three on-site experience. Students must achieve 75% or higher to earn certification; our onsite instructors ensure you have what you need to do so. 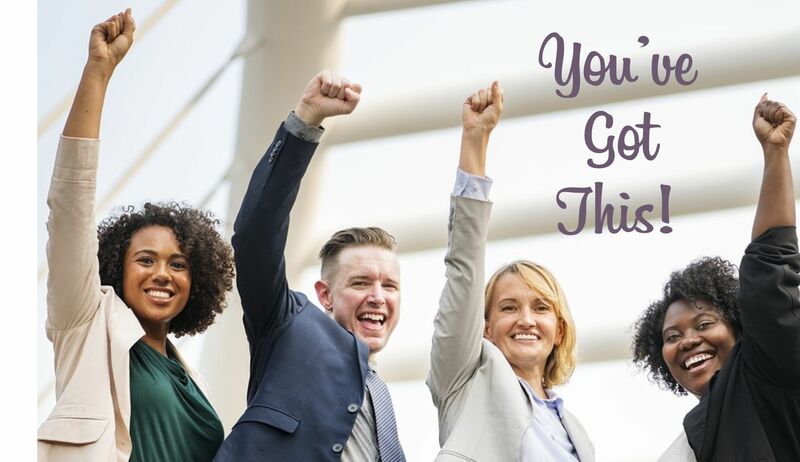 The reason CSP® sets the bar higher than any other training provider, by expecting you to earn your designation, is because this is an achievement that builds your confidence, gives you the extra edge in the marketplace and we teach you how to leverage it! At the end of training, you will be presented with a beautiful certificate, pen and lapel pin to acknowledge your accomplishment. What Will You Say When The Sellers Ask? • I don’t want to do this. • Will you guarantee it works? • Why do I have to paint? • My agent told me I don’t need to stage? • Why should I sign a contract? • Will you accept payment when house closes? CSP® offers sales and business education, as well as savings on proven business-building tools you’ll need and on-going support through coaching, apprenticeship and online Resource Centre. The CSP® system emphasizes using little-known, yet proven marketing methods to attract clients and build relationships based on trust and excellence. In other words, we teach you how to target your marketing initiatives and develop a business model specialized to your needs and goals. 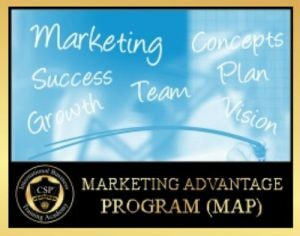 A big bonus of the CSP® training is that you also receive the CSP® Marketing Advantage Program – a step-by-step business development process to help you get your business going quickly and easily. In fact, you’ll receive the first two modules right away via email when you register for your training program! Through the CSP® training course you will gain the advanced knowledge and skills needed to succeed and excel in the professional staging industry. We teach you the practical knowledge of staging, along with our highly developed concepts for making a property more desirable to buyers, in addition to the crucial business elements pertinent to your success. It all begins with the Foundation Standard Staging Training Course. This is a comprehensive 3-day in-person training that many people consider advanced and the ‘platinum standard’ because it teaches so much industry information. Building relationships with painters, carpet cleaners, handymen, etc. You will have hands-on experience staging a property that is either on the market or going on the market for sale. Your skills will be honed live on the spot with senior people in the field, who stage every day for a living. We believe staging certification needs to be hands-on and best completed with your peers. AND you’ll also receive and/or have access to several critical support tools to help you build your business. Additionally, you receive (with full payment): The “CSP® Marketing Advantage Program: Module 1 & 2: Start-Up Business” so you can print and get started right away in activating your business dreams. Our goal is to not only provide an easy, step-by-step proven system that you can use to launch your staging business immediately, but also to offer as much support as possible along the way. It is vital to set yourself up from the beginning with the right foundation in order to build a profitable, lasting professional staging business. To get you started in your new career, CSP® offers a Three-day in-person intensive and comprehensive staging business training program – the solid Foundation Standard Staging Training Program. This is the premium training program in the industry and is the foundation to creating your staging career. 3-day live intensive instruction with hands-on training in a community of your peers, a one-year licensing to use the CSP logo on your work and full access to the Learning and Resource Centre for one year. (Continued membership is $225 annually / 0.62c a day. Following the intensive three-day in-person training, you have access to online support. Our instructors and mentors are available in the CSP Graduate support group and Christine Rae is available via email and via coaching to assist you and provide mentorship to answer questions and continue to provide the stability and guidance needed to ensure your success. In addition to the Foundation Standard Staging Training Course, we provide apprenticeship, communication updates for business tools, promotional tools, business-building tactics, training techniques and ongoing learning opportunities – available on our student Resource Centre and forum AND you may return to class as many times as you want / need to at no additional charge to you! Training program option two is for you if you KNOW you want to transition quickly and be fully supported in the field. You are ready to get on the Fast Track with your staging business. The Fast Track Staging Program: includes the 3 day live intensive instruction with hands-on training, with everything discussed PLUS a full Get to Work quickly business package . Total FAST TRACK business package is valued at over $4455.99- add it to your tuition for just $699! * Please note that tuition rates and Fast Track content is subject to change due to quantities and discretion of the training provider. That’s only $8.20 /day for a year. * Please note that tuition rates and Fast Track content is subject to change due to quantities and discretion of the training provider. Tuition payment plans are available. FYI – There are also other marketing and business-building tools available to you through our Vendor Partners for easy purchase outside of your training program as well. CSP® has also secured name brand recognition by partnership and affiliation relationships to promote and support the CSP® brand name. Because of non-regulation many stagers work without coverage! totally unaware they are leaving themselves wide open to litigation. Business insurance is imperative. 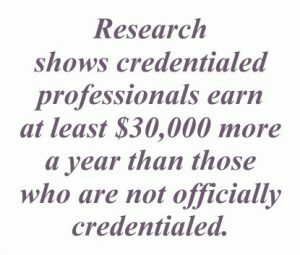 CSP graduates save almost $1000 a year on insurance because they are CERTIFIED. ALSO do you know what Stager Risk Management is? You should! All of which you benefit from by association. There are many services, products, and opportunities available through CSP® which truly differentiate the concept of home staging in the marketplace and will help you build a powerful resource support network for your business. Christine Rae, as Founder and President of CSP®, heads an amazing international team of talented individuals who instruct the CSP® program throughout North America. These are some of the most knowledgeable staging instructors in the industry, who are active in their successful businesses while they dedicate time and expertise in teaching students. CSP® is incredibly proud to bring you the professional staging skills, business acumen, incredible talent and success these people have achieved to deepen your experience in CSP® training. Their practical, real-world experience is invaluable as you learn the ins and outs of having your own staging business. Essentially, they save you time and money by not having to make mistakes once you get into the real world post-program. In addition to graduating from CSP program and building a successful staging business (at least two years in field) the CSP® instructors complete an additional 150 hours of training to be a training and a stringent review process of their credentials and proven success in order to be approved to teach the CSP® program and other affiliated courses. They adhere to the CSP® Code of Conduct**, just as you will when you graduate from the program. The advantage you have with the CSP® network is not only the excellent training program, but also the support system afterward. We firmly believe in a system that provides long-term support for the delegates in the CSP® network and value assisting them in achieving their business goals. Therefore, a special aspect to CSP® training are the CSP® Mentors who are graduates who have built successful business and are now in a position to “Pay It Forward” to current program participants. We also consider our Preferred Pricing Partners to be part of the CSP® team. These are the folks who have worked endlessly to help our stagers provide their clients with quality, affordable services and products that homeowners and real estate professionals need in preparing properties for sale. Along with preferred pricing, many of our national accounts provide training webinars, workshops or seminars to guide the CSP® professional stagers with the knowledge and support tools to serve you better! Start your business with credentials! Give yourself the authority & trust your clients are looking for. 93% of the decision to hire you the first time comes from whether they can trust & believe you! Intensive business training, actionable knowledge and practical hands-on work experience. Three examinations qualify you to use and leverage the prestigious mark of excellent achievement, technical competency and business integrity. Be the best you can be. Your client deserves it! CSP® Certification is the only TRUE certification available in the staging industry. Many vendors award a certificate of attendance or completion – that is not certification. The components of certification require: educational and experiential, requires passing exams and allows a practitioner to put letters after his/her name. True certification requires re-certification, which ensures the practioner stay current in their field through continuing education. Learning, applied in a real world, practical way is the hallmark of CSP training. On day three of the intensive staging business training, participants are taken to an actual property, going on or is on the market; the practicum is carefully monitored by an onsite instructor who provides immediate feedback and guidance, building confidence in the student and reassurance the processes work! Before and after photographs are also provided to the graduate for use in their own portfolio. The CSP® designation provides a competitive edge around the world. “ Having gone through the first CSP training class years ago and then taking a refresher class recently, I still feel that you cannot get a better staging education than CSP. Christine Rae knows the industry and business better than anyone. I recommend the training for new stagers whenever I get the opportunity. All instructors own and operate successful staging businesses, bringing their experience and talent to the classroom. The CSP® program delivers the art and science of professional staging AND business start-up, complete with how to market and attract clients in today’s real estate market and economy. 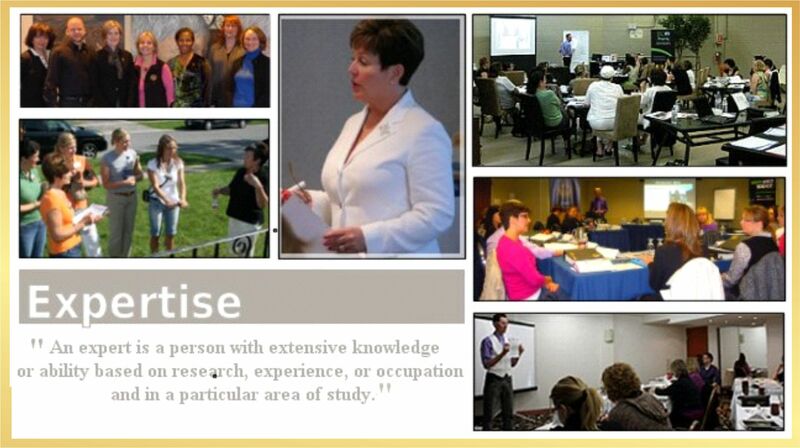 “ I wanted to send Christine Rae (CSP) a testimonial. I had so many thoughts to share about taking the course ten years ago and how things have progressed through today. Yet when viewing the CSP® website all my thoughts were on the site!!! The website is loaded with valuable information and answers therefore this testimonial will be more about my thoughts on Staging, Training, Professionalism and Certification. My first impression when choosing to take the CSP® course was that I finally found somewhere to actually take staging training. At the time there was no place to go to learn. Christine was teaching in Toronto and I couldn’t wait to take the course. When I found out I would be trained and receive certification in staging, it made it much more impressive. I loved the logo and felt that it had a certain power to it. It stood out and stood for something big!!! I wanted to be part of that and knew I was getting the highest education that would deliver great results to my future clients. I was right and CSP® has grown to be the world leader and is known to be the best. It was important to me to be certified to verify and show a certain level of expertise. I have continued taking many of CSP® courses to further my knowledge and credentials. I have achieved designations that demonstrate to my clients that I am indeed an expert in staging, and that a reputable, recognizable organization is willing to attest to that. I have proven to have specific abilities, skills and knowledge in the trade. That is where CSP® training differentiates from their competition. There is no other competition or company better than CSP®. (I have continued to update every year my membership because of my belief in this company). 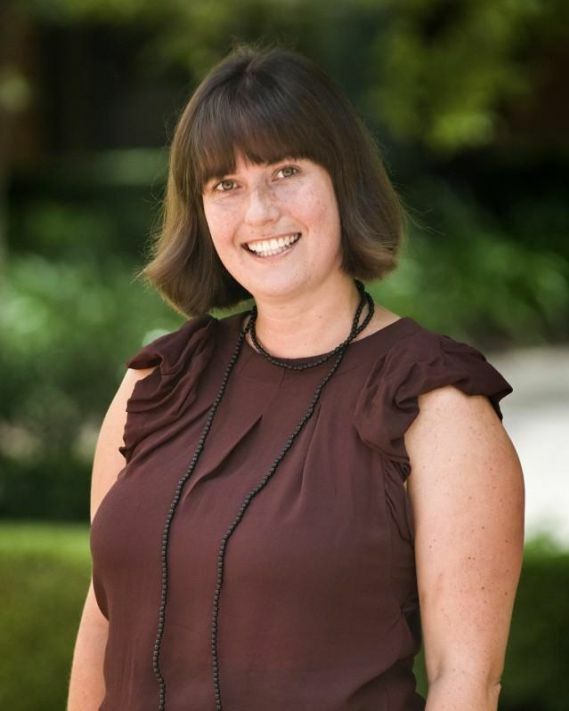 Christine Rae is passionate about her CSP® students and grads (who she becomes very close with as not only a teacher, but a friend as well) and is always there to provide guidance, support and strength whilst providing the highest education level available. (We joke with her and nick name her mom of all CSP’S) Not sure how she does it time wise, but she is always there for you even if she is teaching on other side of the world. Today I have grown together with CSP® as a student and colleague of others who mentor and share knowledge as well. CSP® has great support groups to help with any questions about your staging jobs etc. I have become more professional because mastery builds confidence with clients. I thank CSP® every day for giving me my dream come true. I love staging!!!! CSP® knows that your training does not end when you leave the intensive classroom experience; in fact, it’s just beginning. 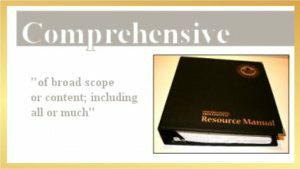 Once you leave the priceless intensive program, whether you take the Standard Foundation or the Fast Track Staging And Business Launch option, you have a variety of resources available to you. Everything from an online Resource Centre, packed with marketing materials, tools and tips, to an online community forum where you can get your questions answered. In addition and in support of the classroom learning you also have access to the Marketing Advantage Program to MAP your way to staging business success. These are eight on line work at your own pace modules. You get a variety of other practical and relevant bonus materials materials to help you move your business forward by applying what you learned in class. You will be notified when online learning opportunities arise, you are welcome back to the classroom at any time – all to support and nurture your business. So you can attract new clients, establish your brand in your local marketplace as quickly as you want. The idea is that you have support in attracting new clients and establishing your business brand presence in your local marketplace as quickly as possible. REGISTER TODAY AND GET STARTED RIGHT AWAY! Certified Staging Professionals® know starting a new career can be both exciting and overwhelming. We recognized many people want to get started the moment they choose their training date and register to participate. So, immediately after you register for either the Standard Foundation Training Program or the Fast Track Staging And Business Launch Program, you will receive the first two modules of the Marketing Advantage Program™ Module 1 & 2: Start-Up Business. This is to help get your mindset engaged in understanding business before you even get to the training you’ve selected. You also have the added advantage of being able to ask questions about business because you learn important business concepts from the minute you become a CSP® student and community member. “ Whew Hoo! What a fantastic class. Because of my research on which Professional Staging certification to receive, I knew that your in-class and hands on training would be dynamic and top notch. But I was not quite prepared for all of the in-depth business-oriented information, as well as the professional and life experience tips that you provided for launching a successful Staging career! And what an exciting team experience when staging the property in Oakville -a Thanksgiving Day I will never forget! Christine, it was such a pleasure meeting you and I was thrilled to have had you as my training guru! Your story of how you started your journey into this profession is one I can truly connect with and will be an inspiration for me fulfill my dreams and follow my passion… I am a bumblebee! “ I am a recent graduate of the inaugural Certified Staging Professional™ course that was held in Sydney and loved every minute of it! I found Janne (director of ACSP) to be extremely helpful prior to the course commencing and, of course, post the graduation, assisting with any questions that I had. 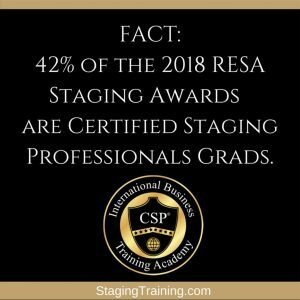 When you decide to become certified as a stager through CSP® International school of staging training, you are entering into a fast-growing community that is internationally recognized and branded daily to be acknowledged as The Staging Training Experts™. 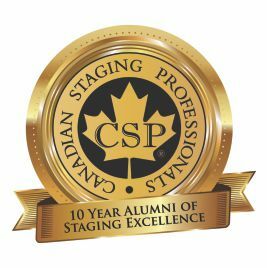 CSP® graduates are promoted as premier stagers who have achieved the highest level of staging education available today. They are known to have been trained through hands-on experience, in-class assessments, continuing education and commit to a Code of Conduct for consumer satisfaction and protection. NOW with the added benefit of Residential Staging Expert™ acknowledgment of your skills after class. That translates into credibility for you the moment you graduate from the CSP® training program. Real Estate Agents invest approximately $10,000 – $20,000 to start their businesses. Many franchises charge anywhere from $5,000 to hundreds of thousands of dollars for business start-ups; with CSP® training, your investment pays you back quickly and with little start-up expense. And, of course, there are no on-going commitments of royalties or franchisee fees; that means you will have a quick return on your investment by completing just a few jobs early after training. A beginning website often costs at least $600 conservatively, and that doesn’t include search engine optimizing marketing fees. With CSP®, you will have a solid beginning with a profile page for your staging business as part of your tuition. The fee for your training, per hour, is less than what you will charge for your business services. You have access to professional tools for fast start-up so you don’t waste time, energy and valuable resources. Your tuition includes the licensing use of the CSP® logo and access to the Resource Centre for one full year. There is no other training program that is as committed to its students, enough to actually require testing for certification – and has a remedial support system in place for those who don’t achieve passing grades. The CSP® stagers network is a place where you can be in business for yourself, but not by yourself. You can receive long-term on-going support from colleagues, instructors and mentor to ensure your success in the industry. Free refreshers; means you can reattend class as many times as you want to enhance the learning and work experience. The most recognized symbol of staging excellence in the world is CSP®. This is literally the one investment that not only pays for itself but then takes care of your future going forward as well. One job and you have paid for your tuition. How important is a CSP® designation? There are some who say it isn’t important, because the staging industry is non-regulated. What that means is no one requires you to have any training, certification, insurance, systems literally no one is watching you! However, strong credentials provide confidence and is a symbol of your technical competency in a sea of stagers who don’t have that! Christine will teach you how best to market and leverage this awesome achievement. In our experience, credentialed stagers have the edge on getting business and are recognized as having solid training. This will help you build your business faster and easier as potential clients will always choose a trained expert over someone without training. CSP® graduates earn a designation upon successful completion of the three examinations by achieving a mark of 75% or higher to receive certification. This is married to the strong Code of Conduct. The CSP® designation is branded across North America and Australia. We advertise in the following mediums: internet, newspaper, magazine, our glossy staging magazine The Staging Standard, television, networking, tradeshows, cross promotions with large corporations and more. When you see the CSP® logo, it stands for “excellence and higher education” which sends the message of a professional who has access to leading-edge tools, resources and support in the staging industry. Who are the CSP® instructors? CSP® instructors are successful in their own right. They all operate their own successful staging businesses, have helped multi millions of dollars of real estate sell, have completed over an additional 150 hours training to become a CSP® trainer AND have experience teaching adults. Their backgrounds vary and are listed in the online directory and they are always willing to speak to potential CSP® students and members. We appreciate there are choices for training out in the marketplace. That being said, CSP® International is the leader, has the most frequently recognized, award winning graduates and is known for developing professional standards and ethics for the industry. In our opinion the only similarity is they have the word staging in the title. Even if you have existing knowledge about staging, you will find that CSP® offers a comprehensive curriculum based on best practices for profitability, professionalism, business and efficiencies (many of them set by CSP®). With CSP®’s focus on providing hands-on experience, you actually work with the staging process in real-world environments with a property which is currently on the market for sale. What kind of support is provided after the CSP® Program? The after-class support far exceeds expectation and any other training program currently available. Upon completion of the CSP® program, you have access to a password-protected business Resource Centre. This Resource Centre includes an online forum, where many of the alumni, staff and instructors answer questions which might come up as you continue to develop your business as well as other resources and tools. There is a learning center with hundreds of skill building and learning webinars for you to continue learning after class. An invaluable bonus is your ability to return to training as many times as you wish to learn, upgrade, refresh and recharge your enthusiasm, skills and expertise, and after class a private Facebook Graduate Support Group. Do I learn how to market myself and my business? The class room curriculum includes an exclusive learning program for outreach marketing which is proven to work! And there are oodles of learning webinars to support you after class too. CSP® has a wonderful advanced marketing program called CSP® Marketing Advantage Program (MAP). This program includes do-it-yourself modules to guide you through the set-up of your business – everything from tips on choosing a business name to advanced workshops on creating media press kits. As a matter of fact, you’ll receive the first two Modules as soon as you register for training, so you can get started right away! The after-training offered via virtual technology (teleclasses and webinars) through the MAP is a first in the industry and, once again, included in your tuition. How is the CSP® training delivered? CSP® is not online for many reasons. The main one being we need to see your work in order to certify you. It is a hands-on training experience – the first 30 hours includes in-class and field experience. We believe to fully study home staging you need to have hands-on guidance, feedback and practical experience in order to interpret and apply skills successfully in the marketplace. An after-training apprenticeship program is also available in some areas (and growing). Eight on line modules and a hundred skill building webinars plus, on-going resources are provided via an online Resource Centre. What tools do you offer that help me build my business after I graduate? Our whole program focuses on making it easier for you to get started earning a profit in your business. We have turn-key marketing tools, such as Marketing Portfolio (to build yours in a weekend), Client Information folders, our exclusive CSP® Room Ready Handbook™ for consultations, ready to use Power Point presentations and Christine personally offers an additional coaching program as part of your Fast Track Business Launch option you can choose to participate in for more personal attention and accountability. Is there an additional fee to the online Resource Centre? What are the benefits? No and Yes. Your first year of Staging Membership is included with tuition. As a member, you are licensed to use the CSP logo for one year on your marketing material. You also have access to the CSP® Resource Centre with updated staging training, tools and industry information, the member forum, a five-page mini-website to which your url can be directed, a listing in the CSP® directory to manage your marketing message and contact details 24/7, calculate your individual statistics, full access learning centre and more. Your membership also entitles you to access any of the Preferred Pricing Partner Programs CSP® secures for members. For example, the business insurance program in Canada alone saves you over $800 annually. You also have the choice to opt into a program where you are able to send your very own Staging Standard Magazine personalized with your message on the inside cover to all your clients. After your first year in business, members are required to invest $225 as an annual renewal payment (less than a coffee at 0.62c a day.) This licensing fee allows continued use of the logo, reduced rates for insurance, your five personal web page site (value $599) continues, and your directory listing will be maintained. It also assures you of continued access to the member only site, brand marketing support, the continuation of your certification, as well as access to all preferred outsource vendor pricing for your clients and the continuing education preferred pricing privilege, access to the learning centre, Christine Rae AND return to class privileges. We encourage you to plan for this fee when developing your business plan. What is the CSP® training fee? Rather than seeing CSP® training as a cost of doing business, see it as an investment in securing the very best education to become an acknowledged industry expert. CSP® is 28 hrs of intensive immersion into the world you want to work in with invaluable benefits and tremendous value! We encourage CSP® alumni to attend a refresher class at least once every two years, compliments of Christine Rae and CSP®. Given that CSP® has some of the finest trainers in North America, there are training programs going just about continuously at one location or another. Regardless of the location where you choose to receive your training, you will experience CSP®’s stellar standards in curriculum and experience and, of course, your instructor will be phenomenal. The full registration for the Foundation Standard Staging Training Program is $2299 (plus applicable taxes). A nonrefundable booking fee of $500 (plus applicable taxes) is required to secure your seat and the remaining balance is due at least one weeks prior to attending the training. In certain circumstances payment plans are accepted. They do require at least $1000 to be paid prior to class and the balance to be paid in equal installments, over a maximum of two months. Alternative credit options are available through PayPal ‘Bill Me Later’ service in the U.S., and PayBright in Canada. The full registration for the Fast Track option is $2998 (plus applicable taxes). A nonrefundable booking fee of $500 (plus applicable taxes) is required to secure your seat and the remaining balance is due at least one weeks prior to attending the training. In certain circumstances payment plans are accepted. They do require at least $1300 to be paid prior to class and the balance to be paid in equal installments, over a maximum of two months. Although the $500 booking fee is nonrefundable – it is transferable in the event you need to change your location or dates. Or, if you prefer, complete the registration forms and scan or fax them to LINDA in our HQ at 1 905 984 6955 or Linda@stagingtraining.com to secure your seat in this powerful program. Or call us a 1 888 STAGING or 1 905 984 6955, we are happy to help over the phone. This training program is tax deductible when you start your business. When you register, you’ll receive your bonus items via email right away, the first two modules of the Marketing Advantage Program for Business Start-Up. While it might feel like that’s a jumpstart, we’ve found that it’s helpful for you to have some time to digest the material before attending the actual training session. Please note that, while we understand life situations may change in between registering and attending training, CSP® does have a cancellation policy and a rescheduling process. If you have any questions or would like to talk to one of our team, please call us at 1-888-STAGING between 9:00 am – 5:30 pm ET. We would love to hear from you. Meanwhile, on behalf of the entire international CSP® team, thank you for taking the time to learn more about the Certified Staging Professionals® training programs. We look forward to working with you to launch the next phase of your career. Start Your Staging Business by Getting Certified - REGISTER NOW!